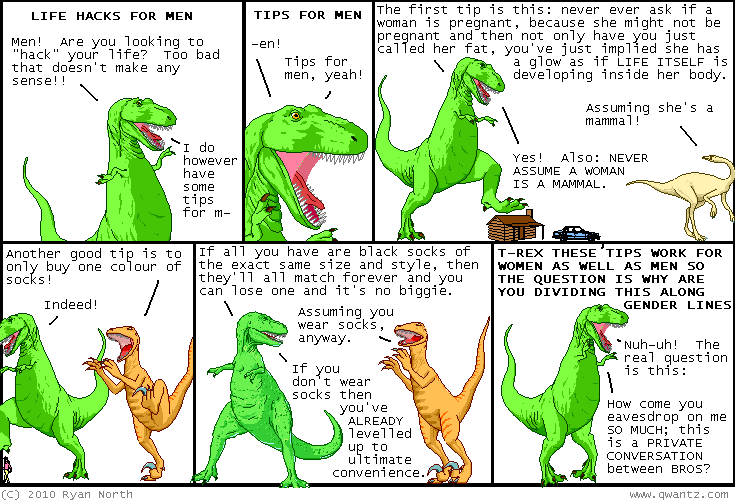 Dinosaur Comics - November 16th, 2010 - awesome fun times! November 16th, 2010: Remember T-Rex's Tetris game from yesterday? Thanks to Robert (and Per's open-source Tetris implementation), it now exists. It is probably exactly as fun as you imagined!